The Other Side of Will: My Bionic Woman: A New Era of Airline Travel? So recently my wife suffered a fall at work which ultimately resulted in a broken left hip and a subsequent full hip replacement. The surgery and the follow up physical therapy went well, and she may have already returned to work, had it not been for also being on (an unrelated) wait list for a full right knee replacement. In her words, "I don't recommend breaking a hip just to get some time off work." Point taken. 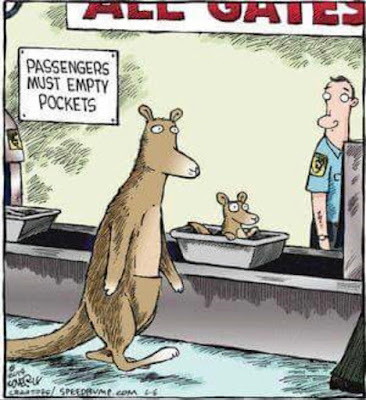 Now maybe its my twisted sense of humour, but what I'm curious to see is what's going to happen the next time we have to go through airport security just to board a flight to somewhere. We already have tickets booked for this coming July, so I guess we'll have to wait and see. Is she going to set off every possible metal detector? Will she have to be padded down and/or strip-searched? It all rather reminds me of the adventures of Jamie Sommers, a young lady who almost dies after a sky diving accident, and is rebuilt by the government to become the Bionic Woman. Much like her former fiancee, Steve Austin, or as he was affectionately known in yesteryear's prime time TV, The Six-Million Dollar Man, she too is rebuilt into some sort of twisted pre-apocalyptic half woman and half machine superhero cyborg. 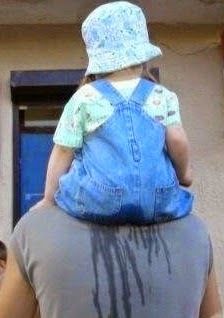 Well, maybe its not quite like that; there's no doubt that my wife is my superhero, but for altogether different reasons. Still, I am curious about how we're now going to approach airport security, a problem that I'm sure neither the Bionic Woman or the Six-Million Dollar Man ever worried about too much in their much more lackadaisical travel era of the early 1970's. Perhaps its a sign of the times. 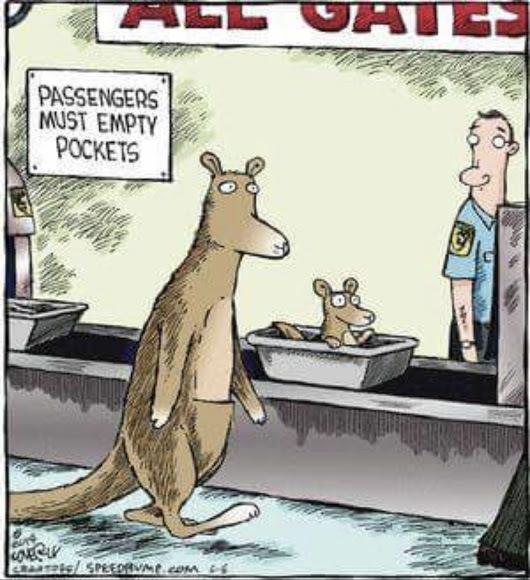 Regardless, I'm sure we've now evolved into something more than simply emptying pockets into a plastic tub to be pushed through some airport security's x-ray scanner. Do check back sometime this autumn after we return home from our next trip for a follow up comment. Maybe my concerns will have been unfounded; and then again, possibly they've been quite justified. Are we facing a new era in airline travel? Time will tell. At the very least, we likely may be facing the possibility of having to allow ourselves a little more time to clear airport security, and when it comes right down to it, I guess that's not all bad considering the potential alternatives. Peace.